With over five million drivers traveling the roads, Georgia is among the top states in the nation for its number of licensed drivers. Georgia—along with nearly every other state—requires that each of those drivers carry auto insurance to protect themselves and others after a car accident. Auto insurance is meant to guarantee that drivers can cover the costs of car repairs or replacement and medical treatment for a person injured in a crash. Insurance requirements and laws concerning auto accidents vary by state. 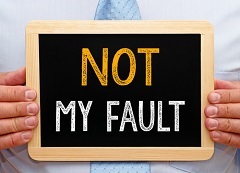 Georgia is considered a “fault” state, which means that blame must be assigned in every accident. This can have a considerable effect on insurance claims and court cases, so determining liability is important. Not all states are fault insurance states. A number of states require drivers to carry no-fault insurance. In no-fault states, any time a driver is involved in an accident his or her own insurance covers the cost of the damage, regardless of who caused the accident. Drivers are typically only permitted to pursue litigation against another driver in more extreme cases, where the damages are very severe. With his or her own insurance company. That company may then seek reimbursement from the faulted driver’s insurance company. With the other driver’s insurance company. Through a personal injury civil lawsuit. Georgia’s type of fault is known as proportional comparative fault. Proportional comparative fault assigns a percentage of blame to each driver involved in the accident. One driver may hold all the responsibility, but that does not have to be the case. Drivers can share varying degrees of fault. For example, if one driver ran a red light, but the other driver was speeding, the drivers would share in the blame for the crash. When one driver is found to be 50 percent (or more) at fault, that driver is not entitled to any type of compensation. If both drivers are found to each be 50 percent at fault, then neither is entitled to compensation. Only individuals found to be less than 50 percent at fault are entitled to a monetary recovery. In some cases, the proportion of fault may be very clear, while in others it can be more difficult to determine. Citations issued by law enforcement can aid in deciding fault, but they don’t always clear everything up; often, more than one citation is issued; sometimes, the police make no citation at all. In some cases, the police are never called to the scene. When fault is in question, insurance companies may use their own investigators. However, insurance companies are out to protect their own interests. They may attempt to deflect fault away from their client. In these cases, it is important to have a skilled lawyer to help gather information and evidence and fight the insurance company. If a settlement cannot be reached, it is left to the courts to decide how best to assign fault. Even when both drivers share a degree of fault, it is still possible to obtain compensation. If one driver is considered more at fault than the other, the driver less at fault may successfully pursue a lawsuit. However, any settlement award will be reduced by the percentage of fault that the plaintiff shares. This means that if the speeding driver in the earlier example is determined to be 15 percent at fault, and the driver who ran the red light is determined to 85 percent at fault, the speeding driver’s settlement amount will be reduced by the courts by 15 percent. A $10,000 settlement, for example, would result in $8,500 being awarded to the plaintiff. Georgia courts are required to use this proportional comparative fault rule in all personal injury cases where both parties are found to share the blame. It is a common practice for insurance companies to also use this formula in negotiations. Under Georgia’s current system, it is important to provide a strong case to prove the fault of the opposing driver. There is no set formula for determining the level of fault of each party. Often, either insurance company representatives or court officials will hear all the details of the circumstances of the accident. They will then attempt to determine fault. A skilled accident attorney can preserve evidence, talk to witnesses, interpret state traffic laws, negotiate with insurance companies, and prepare for court if necessary. If you or someone you love has suffered injuries in a car accident, the experienced legal team at Rechtman & Spevak may be able to help. Call our Atlanta office today at 888-522-7798 to schedule a free, no-obligation consultation to discuss your case and learn more about filing a personal injury lawsuit. What Happens After a Car Accident With an Uninsured or Underinsured Motorist?